Are you a new member to the Westshore Alliance who is interested in learning how to get the most out of your membership and getting more involved in your community? 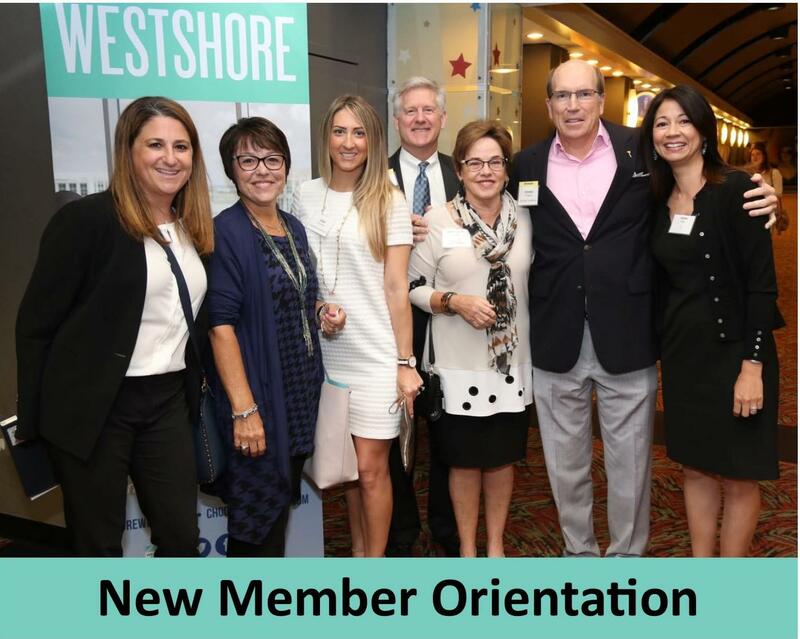 Please join us at the Westshore Alliance New Member Orientation! This series is complimentary and conducted quarterly and is open to all new members. To accommodate your busy schedules, these events are held alternately in the morning and the evening. At the New Member Orientation, we will begin with an overview of the Westshore Alliance, including who we are and how we work in the community. Then, we will cover topics such as member benefits, events and registration, sponsorship and marketing opportunities, how to join a committee and more! There will also be a chance to network so bring your business cards! Complimentary light refreshments, wine and beer will be served. All new members and new company representatives are encouraged to attend within the first 90-days of membership. If you are not currently a member and would like to attend this event, please contact Director of Membership Jamie Farrell at (813) 289-5488 or email farrell@westshorealliance.org.